Square Enix either just discovered Final Fantasy's blood type, or it has a new spin-off in the works. When the Final Fantasy series became too big for its britches, the entity now known as Square Enix had to branch off into the world of spin-offs. A recent trademark filed by the company may hint towards yet another Final Fantasy spin-off that it could be working on. Siliconera discovered a Square Enix trademark in the European trademark database for Final Fantasy: Type-0 (that's a zero, not an "O"). 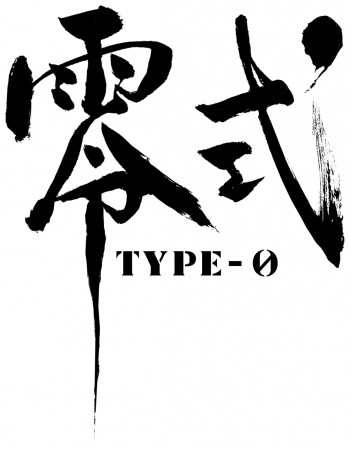 Notably, Square also filed a logo that displays "Type-0" in Kanji along with the trademark, when the company typically trademarks just a name. The inclusion of a logo could hint toward something a bit bigger than another Square Enix iPhone game, but there are no details available other than the filed trademark and logo. A new Final Fantasy spin-off wouldn't exactly be a surprise, as Square Enix has made them a big part of its business with titles such as Final Fantasy Tactics, Dissidia: Final Fantasy, and Final Fantasy Crystal Chronicles: The Crystal Bearers. Final Fantasy: Type-0 is a curious name though, and I'm really not sure what exactly to make of it. "Type-0" seems to refer to something involving blood, and because of the popular belief in Japan that blood-type is linked to personality, this could be a new take on a Final Fantasy spin-off. Square Enix is holding a conference on January 18, 2011 to possibly show off future titles such as Final Fantasy Versus XIII, so it may reveal more about Type-0 at the event. The thing about trademarks is that they could end up as nothing, but with the filing of a logo one can deduce that Square Enix already has something going here.